my succulents from ikea. I love the colors and softness of these. pile of paint chips. oh, the options. gorgeous orange kitchen. makes me feel like cooking. house tour: meghan and shawn's spacious and vibrant flat, apartment therapy. I love the bright white and bursts of bright color that you can see into the next room. The orange ceiling makes such an impact against the bright white walls. cole and son birch wallpaper, via apartment therapy. 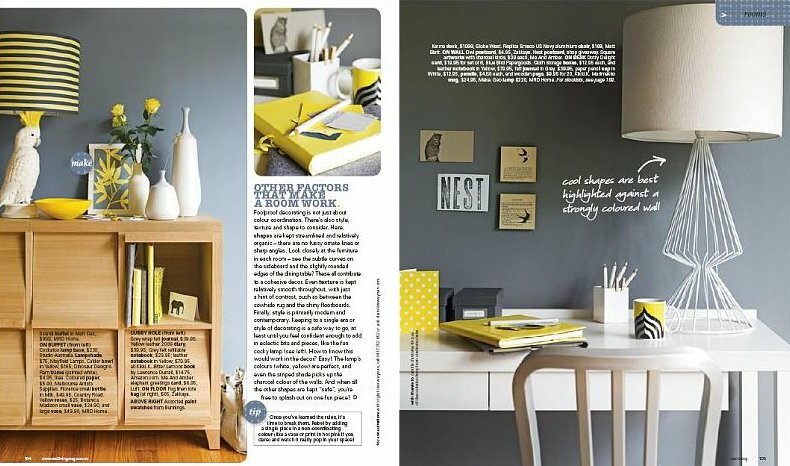 from Real Living magazine, via decor8. It was such an honor to be featured on the kitchn today! Especially since I read Apartment Therapy daily. Thanks so much to the managing editor, Faith for the great article. I really appreciate it! Visit the kitchn. There is always something interesting to be seen there. Moving Sale through Friday. 25% off all items left in the shop. Discount already applied. Visit my shop for more info. Briones & Co. at Etsy. 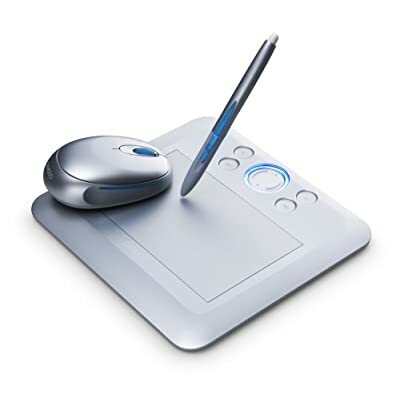 Today the FedEx man brought me my new Bamboo Fun Wacom pad! I tried it out for a while, went through the tutorials and all thinking it would be slightly difficult to use since I haven't touched one in about 8 years. It really works well! I'm impressed by how smooth the lines are. 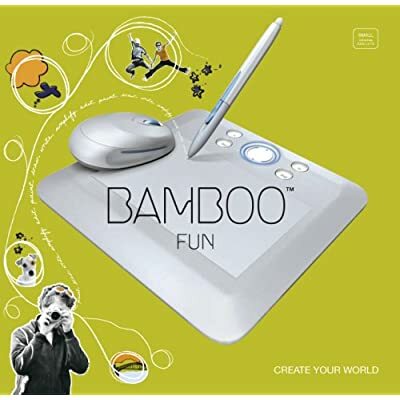 I picked the Bamboo Fun specifically for the writing and drawing capabilities, and I'm pretty sure that it will not let me down. Now to get in the habit of using it.. I did this drawing of Daisy in Photoshop.. it's not great, but it shows how smooth it can be with pretty much no practice. It's almost like a real pencil or pen. this is the annoyed Daisy.